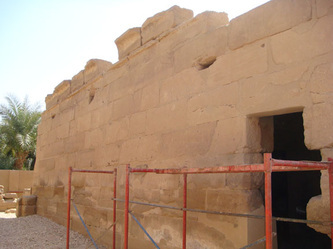 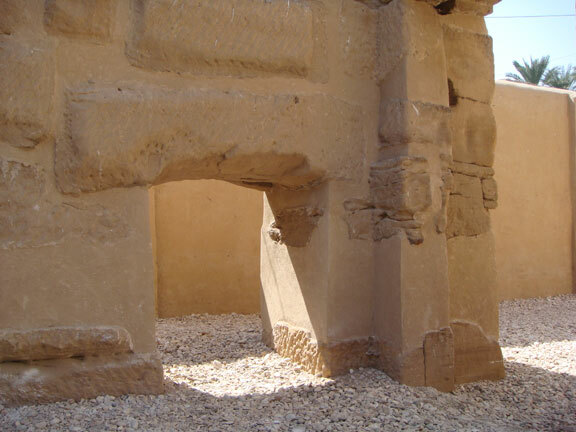 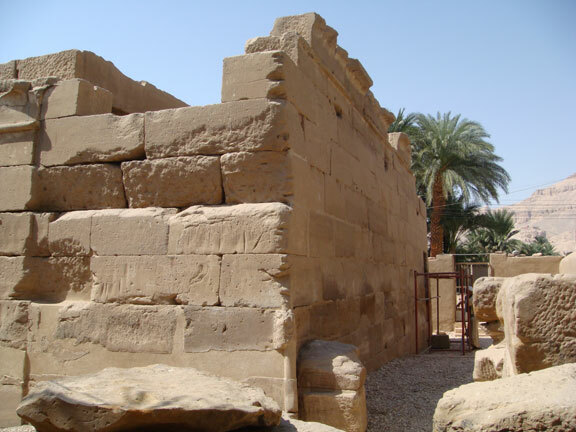 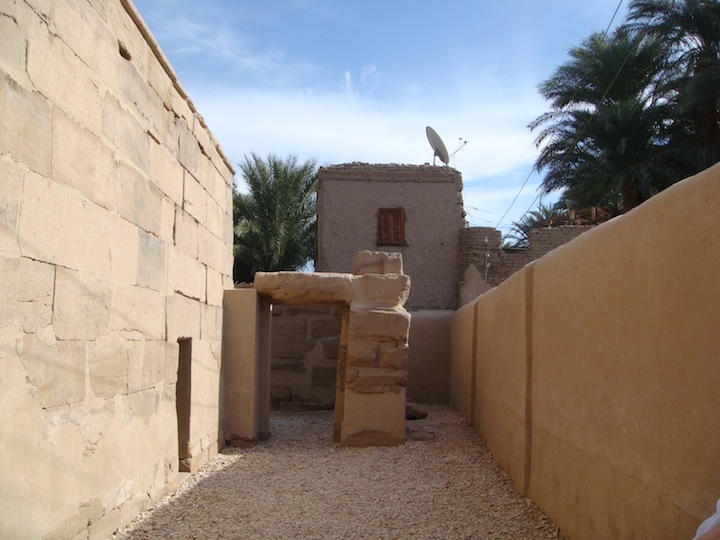 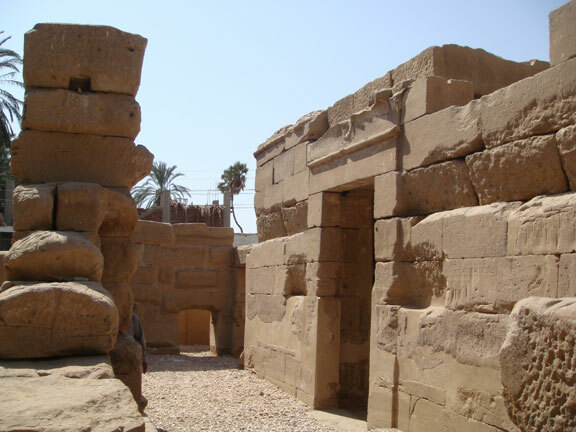 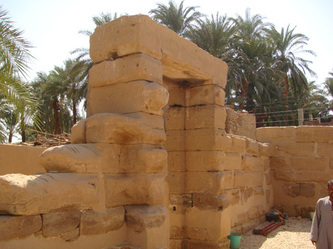 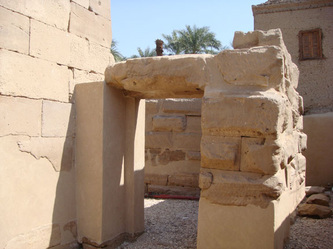 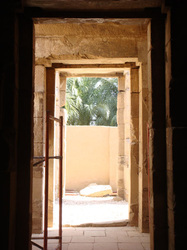 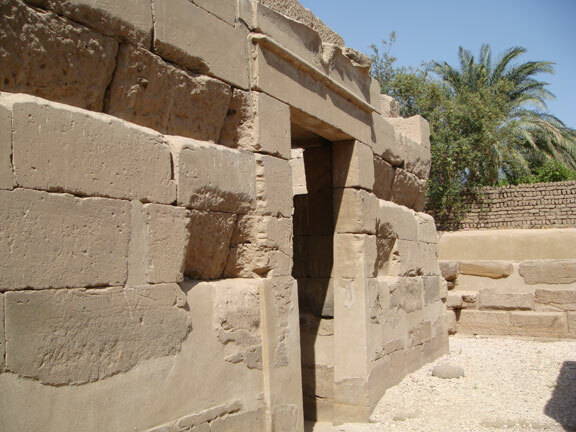 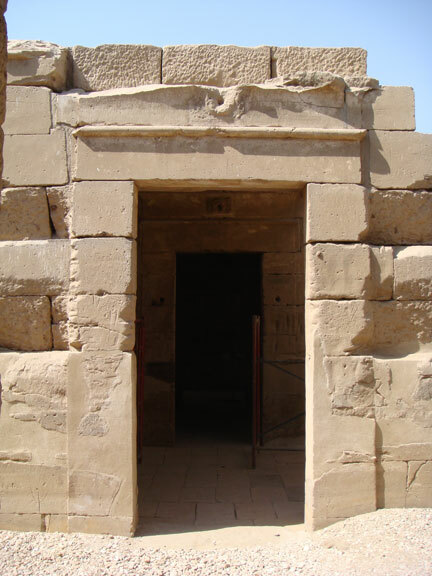 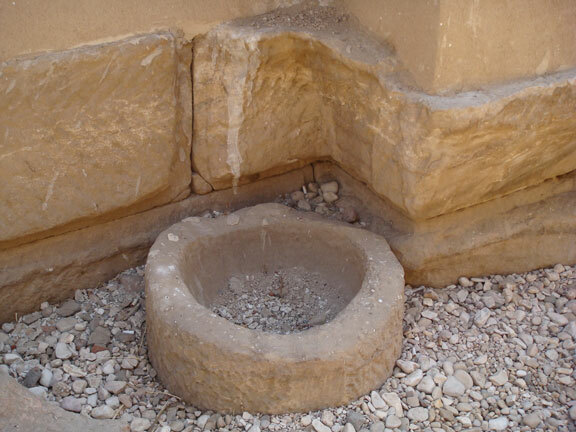 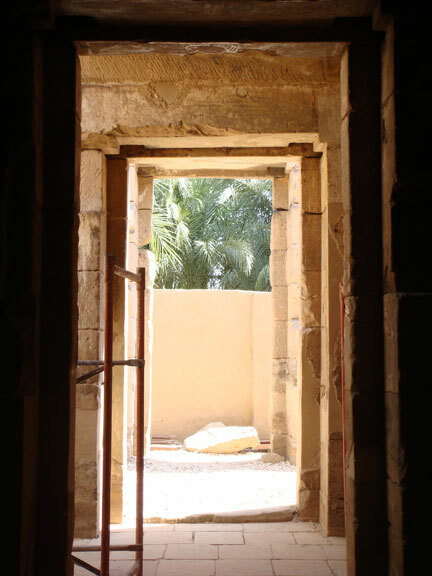 The temple Qasr el-Agiz or Agur (Old man’s Palace/Castle) is dedicated to the God Thoth. 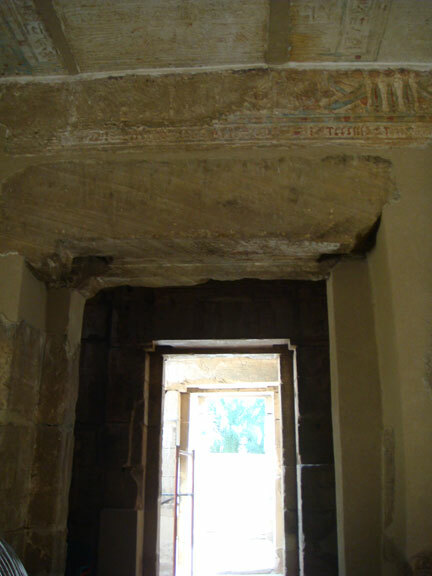 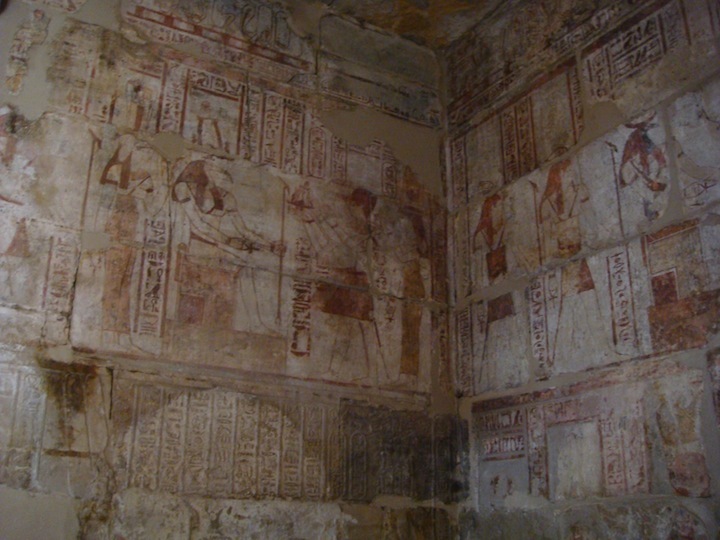 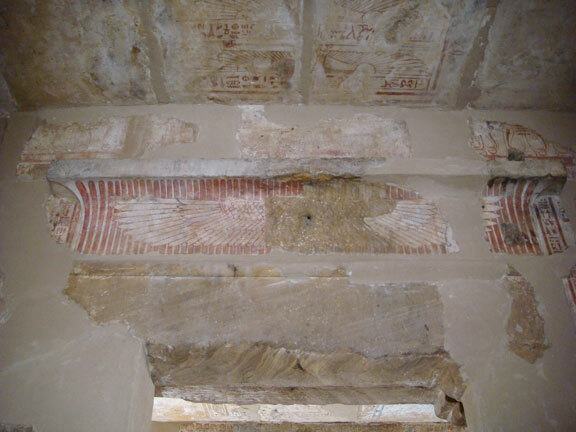 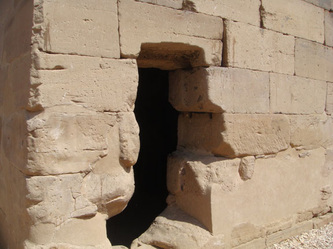 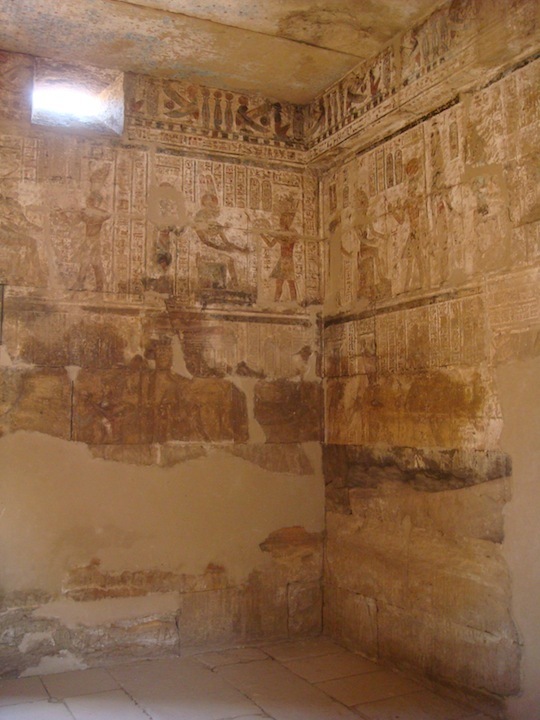 It is in Medinet Habu and is only a short walk south. It is now a small walled temple surrounded by village houses. 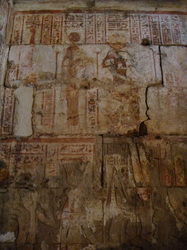 There is a particular section inside that has some very nice wall carvings and colourings. 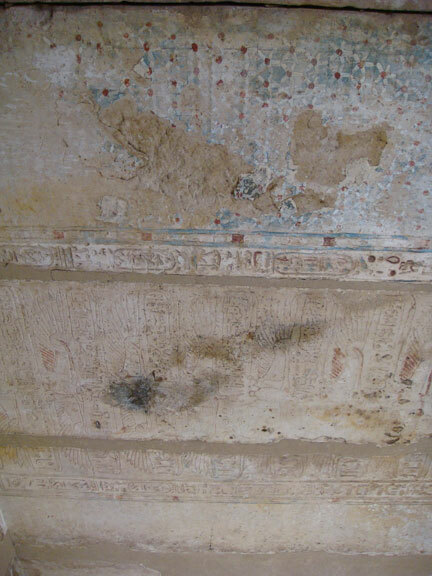 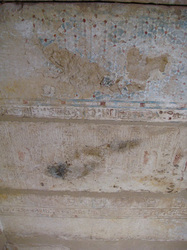 There is also a little detail to be seen on the ceilings. Although a small temple, it's worth a visit. 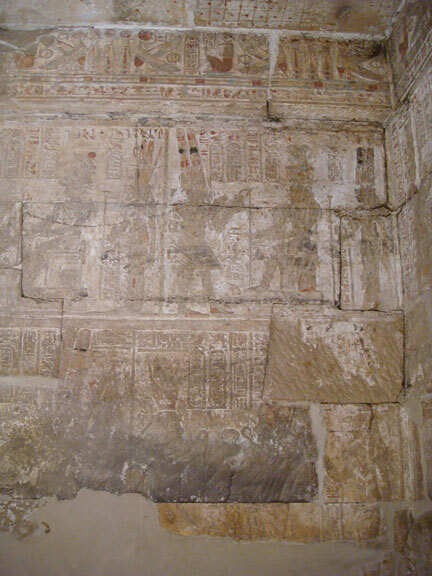 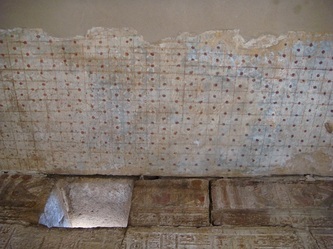 The chapel or temple dates from Ptolemy VIII Euergetes II and is composed of three successive oblong room, two of which are decorated, the room of the Offerings and the Sanctuary. 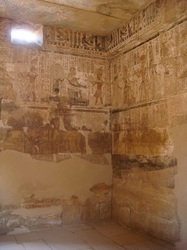 The room of the offerings is only partially decorated and the majority of scenes are simply painted. 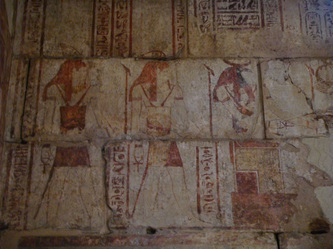 Offering Rituals before the seated Statue of Thoth. 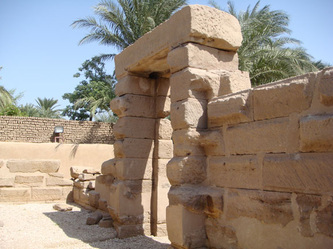 The actual purpose of this building is unsure but it was once thought to be an oracular building. The identity of the God is Thoth but the name Djeme also appears to be connected. 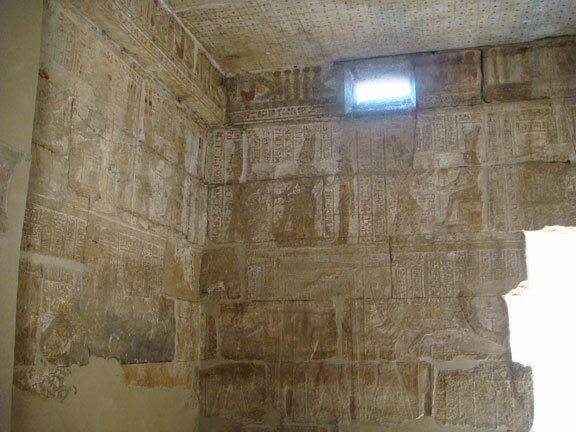 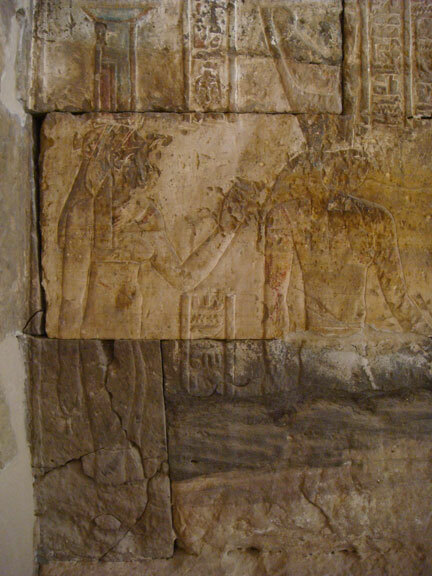 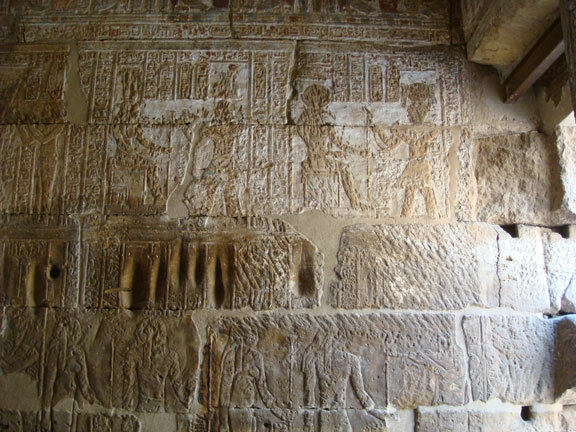 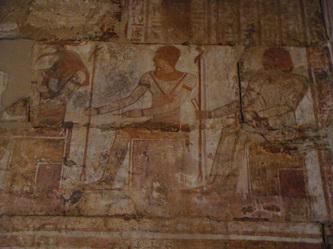 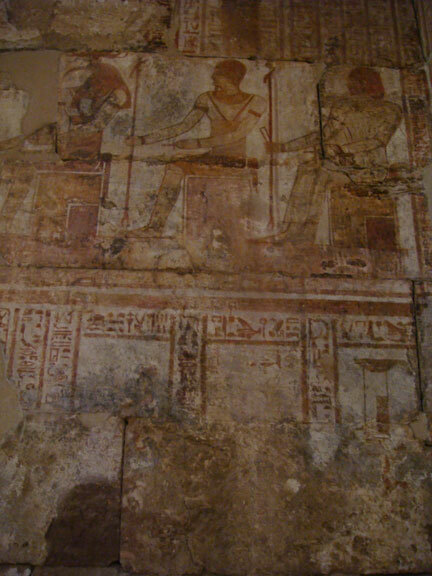 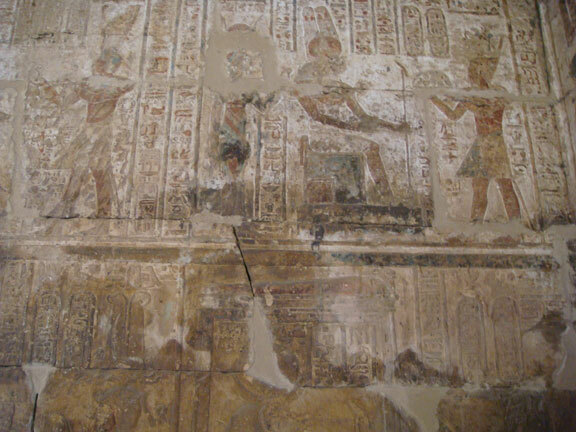 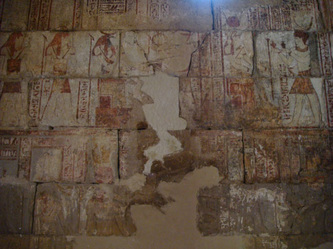 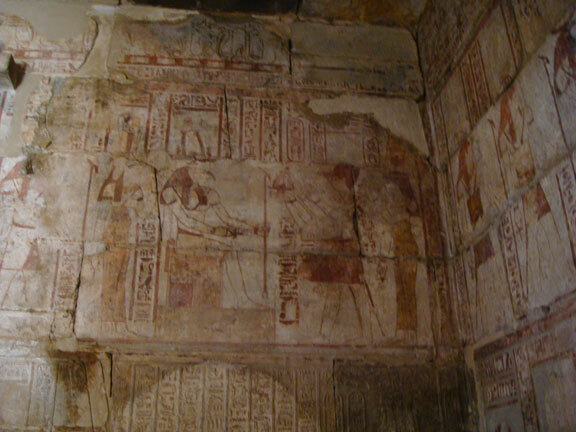 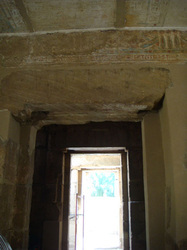 In the sanctuary there is a depiction of Amun of Djeme. 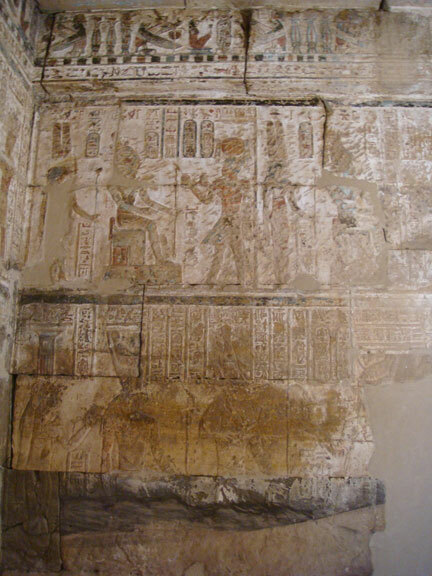 In the decorations of this building, it is Ptolemy VIII (c. 182BC - 116BC), who is portrayed. 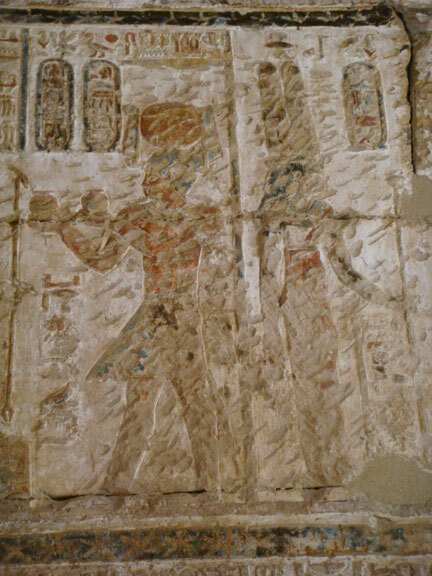 The names Thoth and Djehuty relate to the same god. 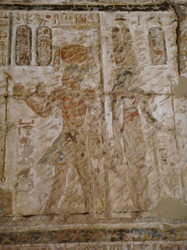 Thoth is the Greek name for Djehuty. The temple is dedicated to Thoth-Ibis, a special form of Thoth referred to in the liturgies of the cult of Djeme. 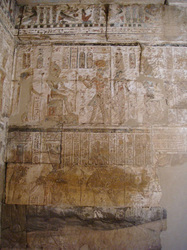 He also carries the usual epithets of Lord of Khmum (Hermopolis) and Lord of the Divine Words. 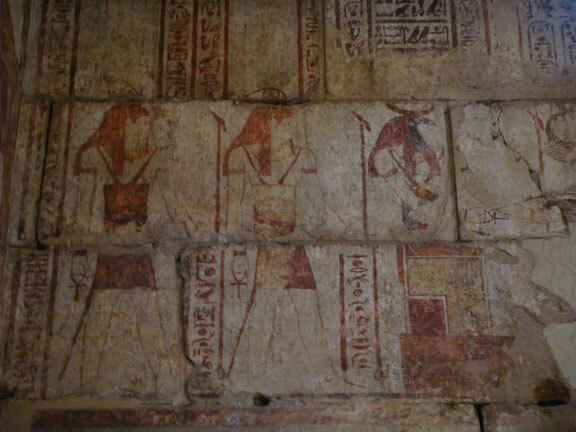 In the temple, the God is always represented with a human body and the head of an Ibis, sometimes crowned with the lunar disk, sometimes with a crown similar to the Atef crown. 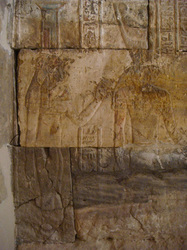 The major differences is that this variation does not cover the top of the head but rests on it and usually resting on the horns of a ram. 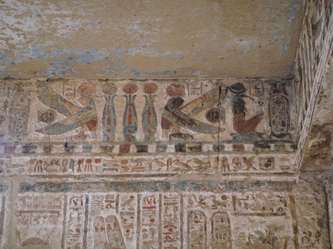 The Goddess depicted with Thoth is Nehemauait. She wears on her head an architectural sistrum, which allows us to differentiate her from Mut and Hathor. 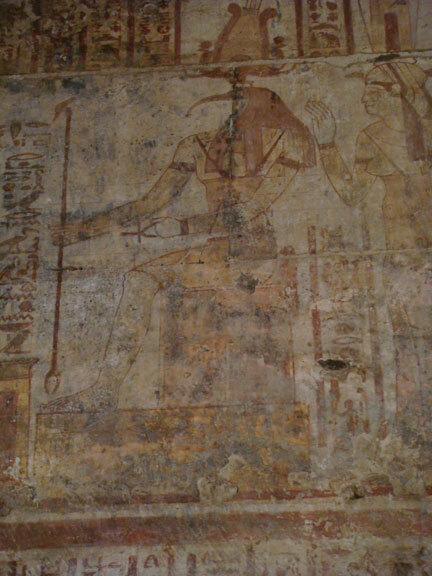 While in the royal scenes, it is Queen Cleopatra who accompanies Ptolemy and plays the role of a goddess. As you approach the entrance to the Ramses III Temple at Habu, turn left and go down past the car park and the police security post. 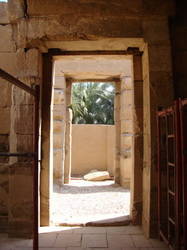 You will see the Desert Rose Café directly in front of you. 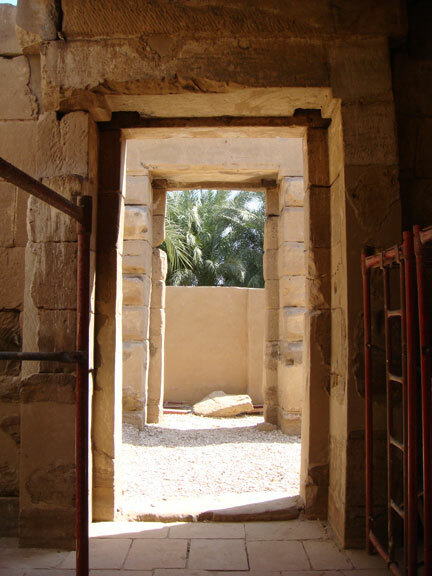 Turn to the right of the cafe and walk on the left inner side of the wall separating the residential parts from the Antiquities areas. 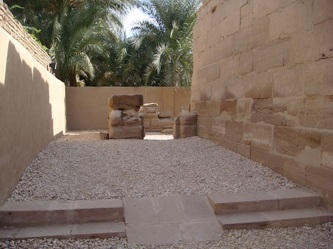 Just around the corner is Thoth Chapel/Temple.